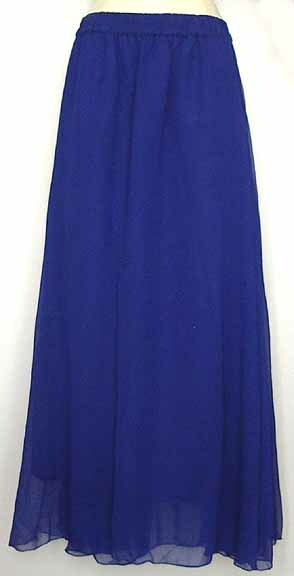 Chiffon Skirt Blue Circle with gathers. Sheer Chiffon layer on top and another heavy layer below with gathers. 20" elastic waist stretches to 38-40" and has a length of 38".